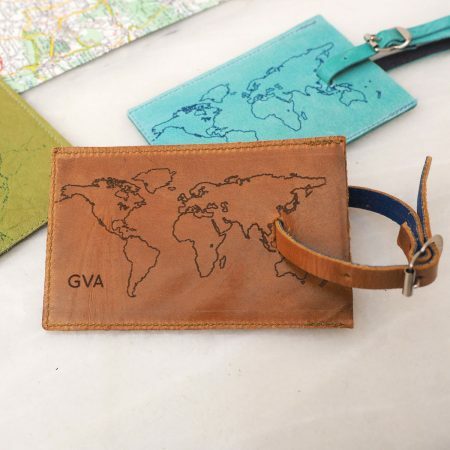 Our contemporary and practical leather passport holder is the perfect gift for the seasoned traveller engraved world map they make a great travel gift. 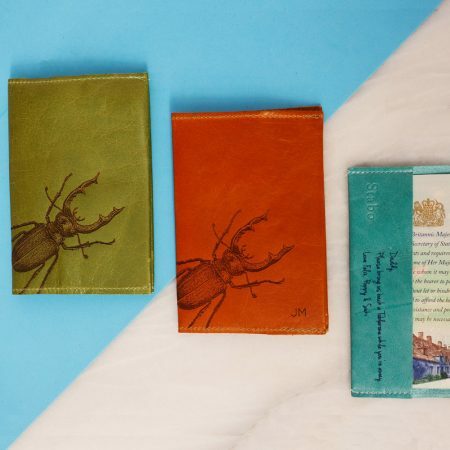 We can also personalise them with a monogram or name on the front cover, we can also add a personalised message on the inside flap. Each passport holder is made by us in our Cambridge workshop. 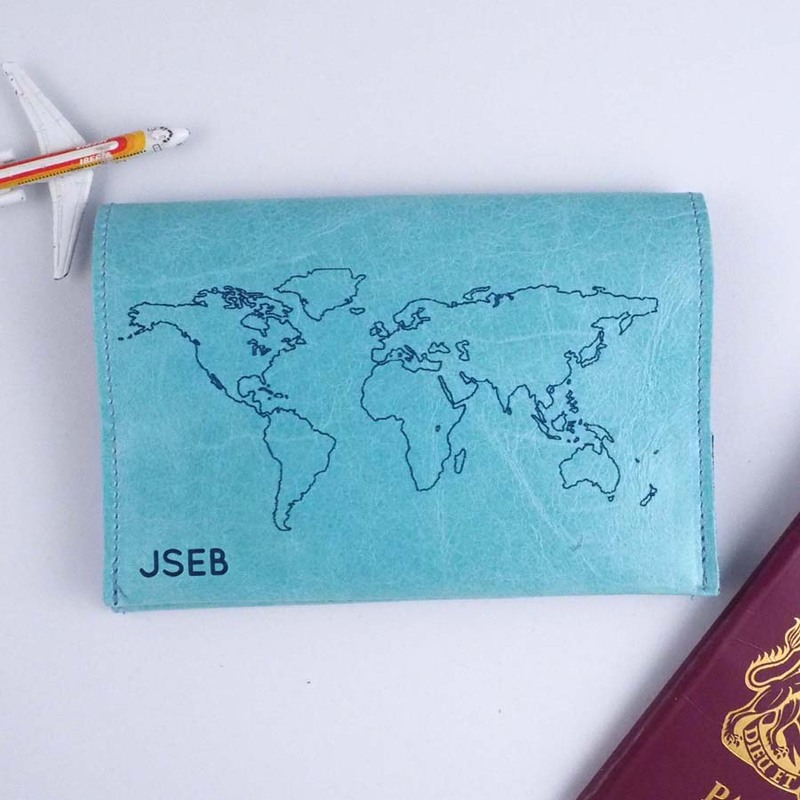 The passport holder can be personalised with your initials or few words on the front and a message on the inner flap. 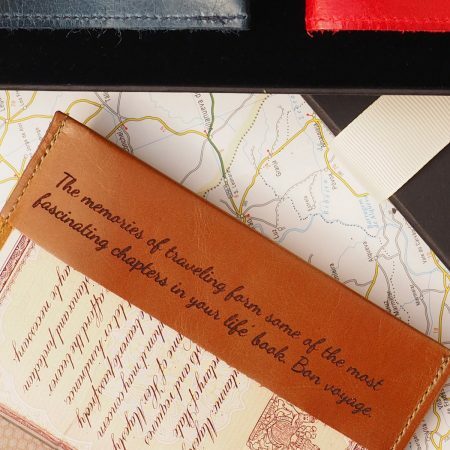 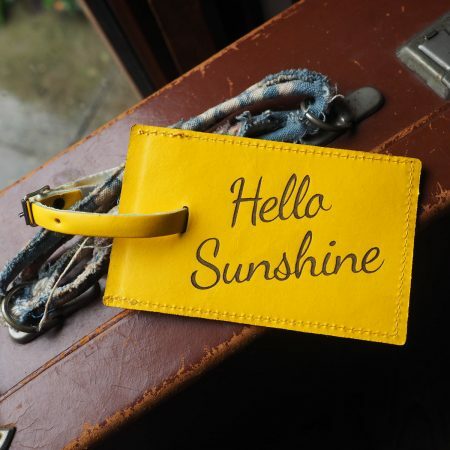 Please email us or add a message to your order if you’d like a message on the inner flap. 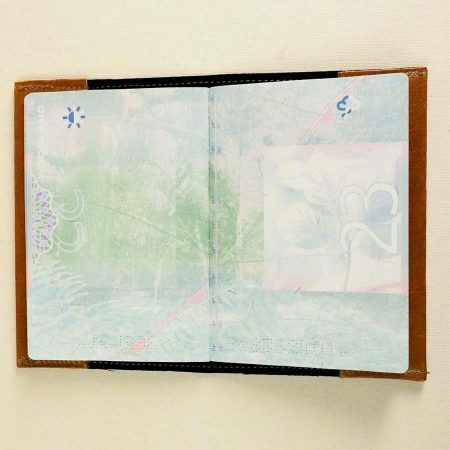 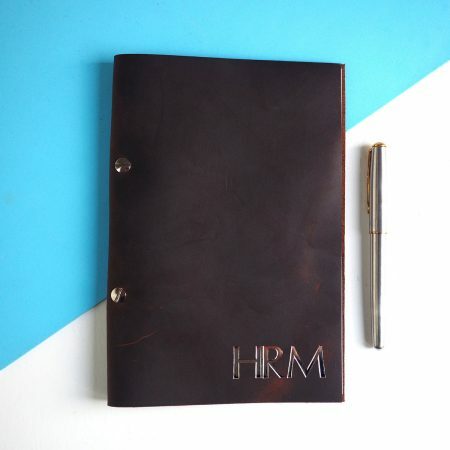 The passport covers are available in a glazed tan or turquoise blue leather. 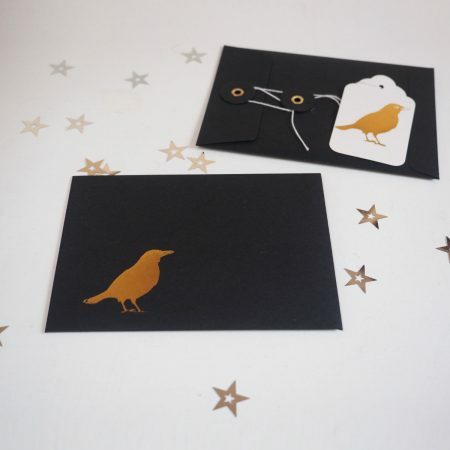 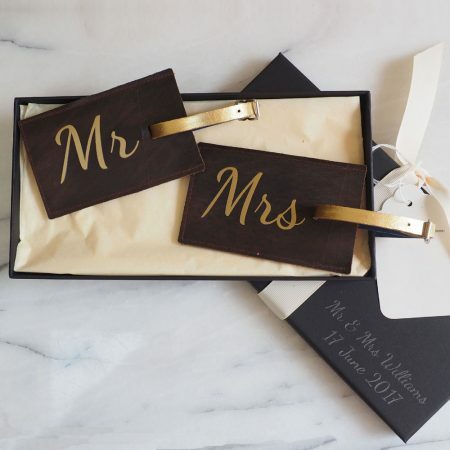 Available in a black gift envelope with a gift tag please contact us if you’d like us to write a message on the gift tag.